Most home insurance policies will not cover you for construction related damage. For example, if a tradies skill saw catches on fire and burns part of your home your home insurance policy would not pay the claim. Or if you removed a window, and an unexpected storm passes through causing water damage to your wall linings and carpets, you wouldn’t be covered. If you are making any structural additions or alterations to your home, including the removal of roofing and exterior cladding, it is likely you will require a seperate contract works policy. 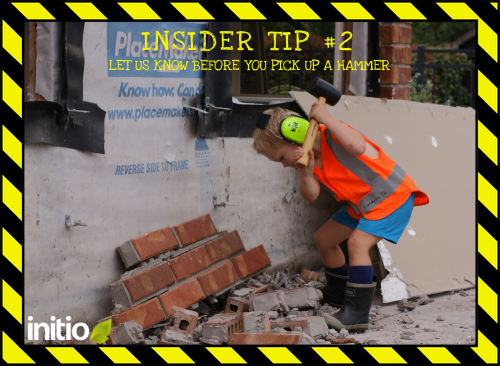 Before you (or your builder) pick up a hammer, flick us an email with details of your project and we can advise you if additional cover is required.